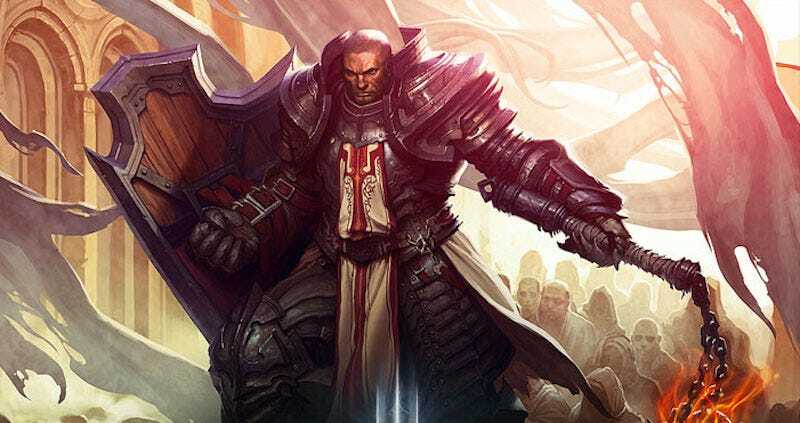 Despite all those silly rumors about Diablo 4, Blizzard has made it clear that they see Diablo III as a live game that they want to keep updating and expanding for quite some time to come. Over the weekend, they made that even more clear. 1) The Armory, which will let you store five character load-outs so you don’t have to keep manually swapping out all your skills and gear. 2) Seasons on console — goddamn finally. As of 2017, PlayStation and Xbox players will be able to participate in the seasonal contests that PC players have been digging for a year now. In short, every season you can start a new “seasonal” character and compete to be the first to hit max level, among other challenges. 3) A new tab for crafting materials that will prevent them from taking up inventory slots. Outside of the Necromancer pack, all this stuff is going to be free, so it’s hard to complain. I mean, we could complain. But would anyone listen?